The Transition to ICD-10: Are You Ready? October 1, 2015 marks the official compliance date for implementation of the International Classification of Diseases, 10th Revision, Clinical Modification (ICD-10) by Centers for Medicare and Medicaid Services (CMS), the first update to the standardized codes for medical conditions and procedures in over 35 years. 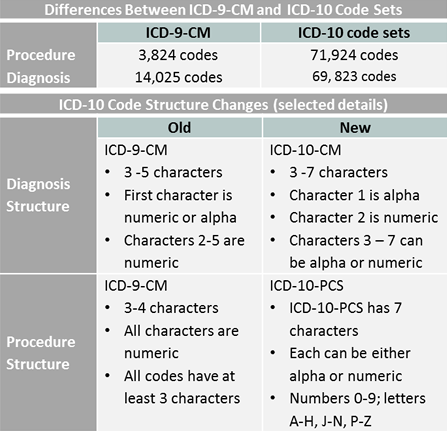 The newly expanded codes – jumping from 14,000 to 69,000 – will grant healthcare professionals greater specificity and clinical accuracy for noting procedures and diagnoses, but could also present obstacles and headaches in the transition from the previous ICD-9 codes. Close more info about The Transition to ICD-10: Are You Ready?